Rocking Circle P is my small farm in Northeastern rural Utah. We're a small fruit, nut and fiber farm. Gosh, I hate to throw alpaca away, but this fiber is way sad. You won't believe this story, but it is true. My neighbor, Dale was told that Alpaca was a tasty meat, so he sent our mutual friend out on an Alpaca hunt. Well one was found at the local sales barn. An older animal, that had been a herd guard animal. He paid $25.00 for this animal. When I found out, I tried to buy the animal from him for $50.00. Thought I might be able to get a couple of clippings off of him before he died. "No.....it's not for sale", Dale said. So I convinced him to shear the animal first and give me the saddle portion. The poor alpaca was very neglected and rough looking. It took four ole cowboys to hold it down long enough to shear it. Dale did give me this fiber and he said alpaca is just as tasty as his ole buddy told him it was. But I'm afraid this fiber is just trash. I would take any advise from someone who may know how to salvage anything like this. I have been able to get a little bit, but some of the stuff is just this nasty. It's filled with vegetable matter and after carding some of it, I'm not sure I can get it all out. I'm sure if I try to spin it some will end up in the fiber. purchased some cheap roving to start learning on. I had just gotten my new Kromski Minstrel and was anxious to make yarn. 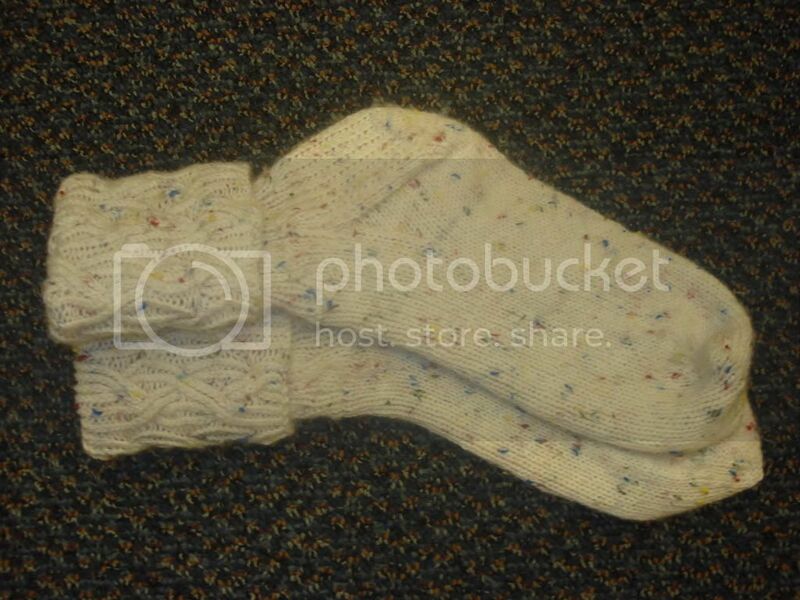 Well it takes a while to get the foot thing going with the hand thing and it's not a perfect yarn. At our winter retreat for my local spinning guild, I finally became comfortable with the rhythm of the treadles and the draft of the fiber. So, I call this my attempt at novelty yarn. I really don't care it's mine and I made it. 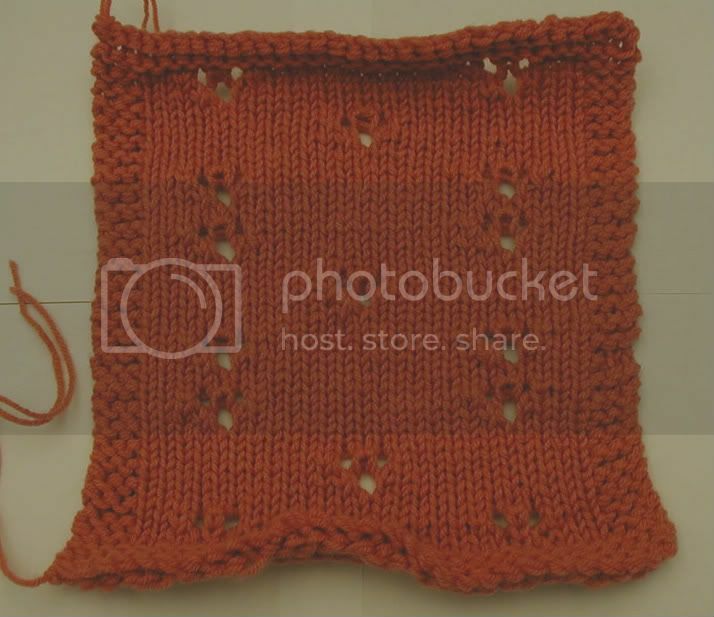 It's not so bad that I can't knit something out of it and if it turns out bad.... felt it. This has been such a great learning experience for me. I spun several bobbins of this yarn and had them laying around because I had never plied before. 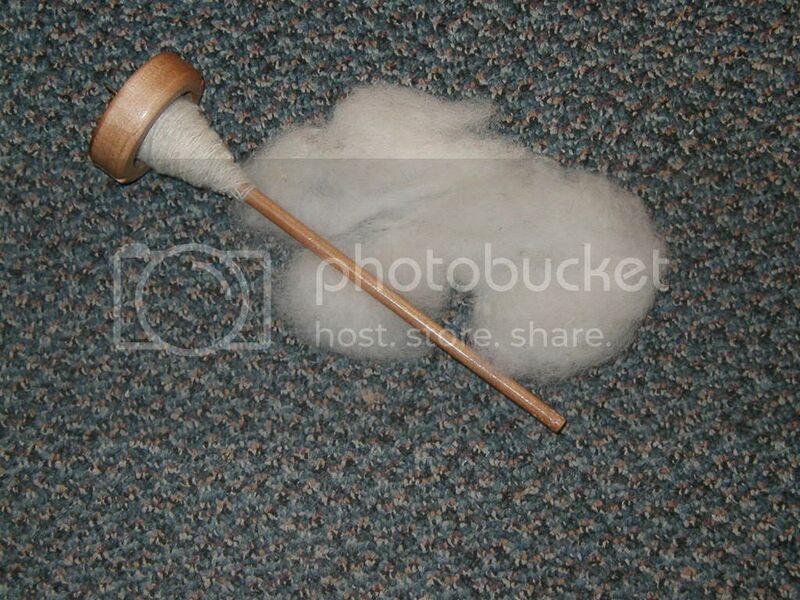 So, my first plying was not performed until May of 2005. It's not perfect yet either. I want to try the Navajo plying, but I'm a bit hesitant and fearful to try just yet. Also, I didn't realize that you had to set the twist. So that's why I'm showing off my first yarn now. It just dried from having the twist set. 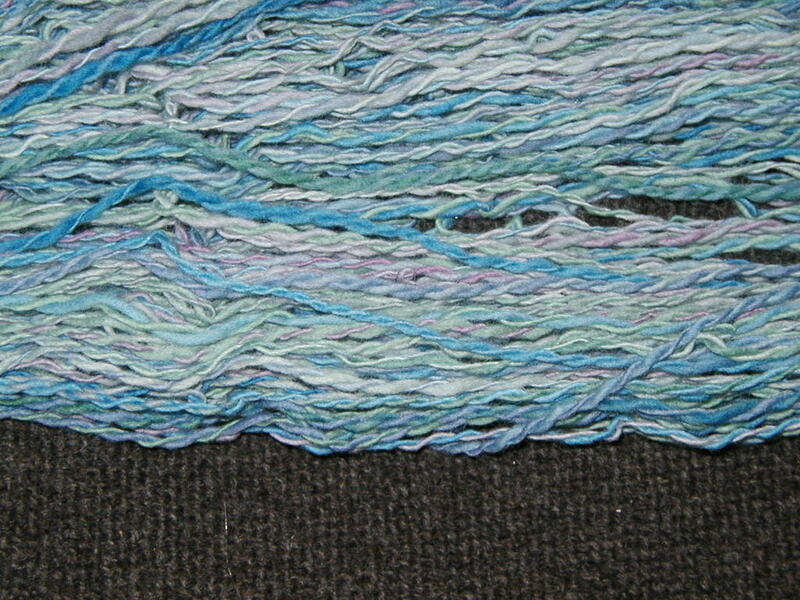 You can see some of the telephone cord affect of the yarn in the this picture. Something to remember and laugh about in the future. It's been sooooo HOT! Here. 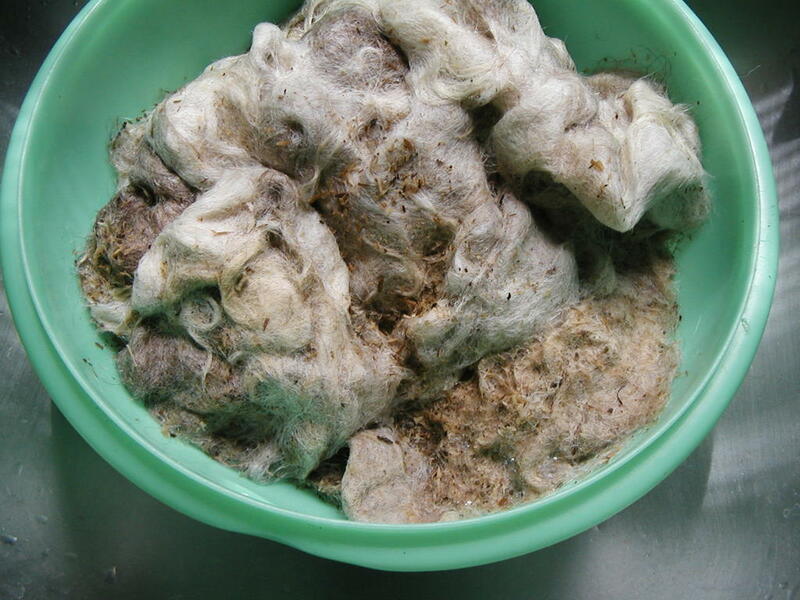 I have been able to produce a few fibers. I need to take my wheel outside and spin in the shade of the tree, but I don't want to get my wheel all dirty. My latest yarn is pictured. 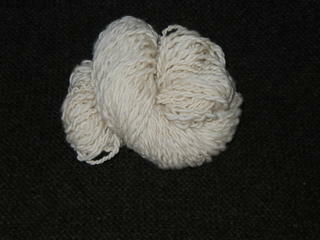 This was a cheap roving of variegated "Range Sheep". It was purchased to give me more fiber to learn on and it was really cheap ($3.60). It should make some nice socks or maybe some warm mittens, as there is only 4 ounces of it. 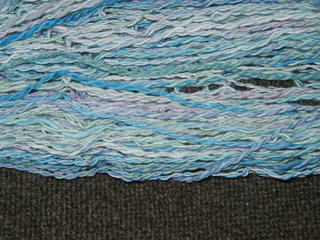 I'm not sure how to ply a variegated yarn so you can get the same color combinations plying together. I've been advised that Navajo plying is best, but I'm still not sure I want to try that yet. Would truly like to have someone who is experienced close at hand when I try that ply. What I tried this time seemed logical. I separated the roving into pencil rovings. 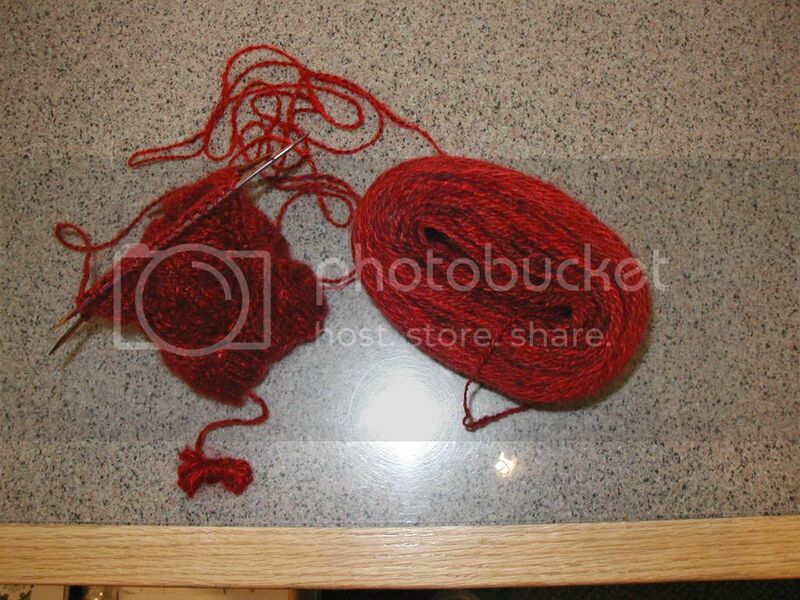 Then divided those it into equal parts to be spun onto 2 bobbins. Then ply from the 2 bobbins. As I said the concept is logical, but in reality it did not turn out quite the same. Well, I'm off to set the twist on this one and play at my first dyeing. Kool-aid where are you. Who am I???? A mature crazy lady who likes lots of different things and never seems to have enough money to buy it. I prefer to live in the rural country atmosphere and make small wages than in the hussle and bussle of the city. A Prune-Picker transplant to the country. 911 Emergency Goat Care is Just a Phone Call Away!